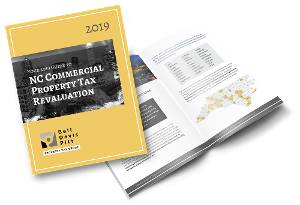 Your tax bill is a function of your assessed value multiplied by the applicable tax rate, which—for Winston-Salem property owners—is a combination of the Forsyth County property tax rate and the Winston-Salem property tax rate. To put this change into perspective, for every $100,000 of assessed value, this change will yield an additional $35 of tax liability. 2017 is a revaluation year in Forsyth County, which means that the county determines anew the assessed values of all real property located there. Because that revaluation yeilded an increase in values overall, the City Council could have actually reduced the tax rate and remained revenue neutral. According to the Journal, it elected to go the other direction in an effort to provide funding for salary increases and improvements to the public transportation system. If you don't agree with your revaluation, you can file for an appeal, but the deadline is quickly approaching. The deadline for appeals in Forsyth County is June 30.